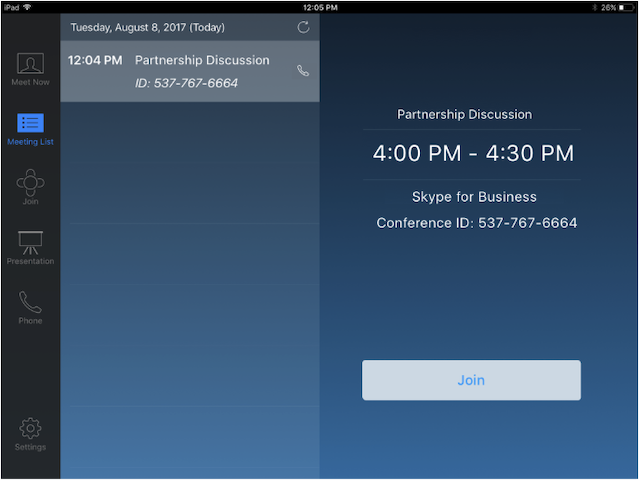 Zoom Rooms can be invited to meetings with Skype for Business, WebEx or GoToMeeting and join the meeting with one click. This may be useful for companies migrating to Zoom from other video conferencing solutions or who work with vendors and customers who use 3rd party meeting services. Customers who have Webex CMR or GTM InRoomLink and Zoom’s Cloud Room Connector license will have a button to join the H.323/SIP conference with one click. Users can send video, receive video, and share their screen in the meeting. Customers who have Skype for Business, WebEx or GoToMeeting, but do not have the interop services above can join as audio only participants. The Zoom Room will show a button to join the audio conference with one click. This requires a Zoom audio conferencing plan with callout enabled. Participants in the room can join the third party meeting from a computer and share their screen to the room display to view content or receive video. Learn how to share your screen in a Zoom Room. Note: This feature must be enabled by Zoom. Please contact Zoom support for more information. Note: Zoom Phone and 3rd party SIP integrations cannot be used for audio only dial-out. After Zoom support has confirmed that they’ve enabled this feature for your account, login to your Zoom web portal and navigate to Account Settings. In the Zoom Rooms section, toggle Support 3rd party conferencing dial-in for Zoom Rooms to on (blue). Choose the room, floor, or location where you would like to enable this setting. Learn more. Toggle Support 3rd party conferencing dial-in for Zoom Rooms to on (blue). 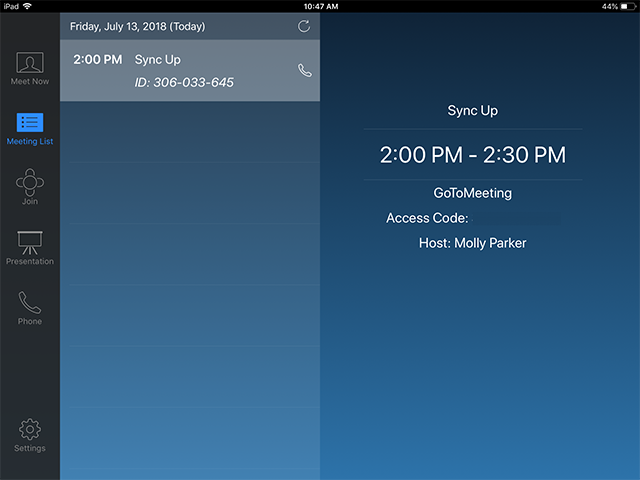 Once this setting is enabled for your Zoom Room, send the room a calendar invite that includes the third party service’s meeting information including the H.323/SIP address and meeting ID. On the Zoom Rooms controller, tap Join to call into the meeting from your Zoom Room. Note: Ensure that you have the prerequisites. This feature requires a Cloud Room Connector license and the service configured on the third-party meeting service (Webex CMR or GTM InRoomLink). Lastly, the third party join feature must be enabled by Zoom Support. Once this setting is enabled for your Zoom Room, send the room a calendar invite that includes the third party service’s meeting ID. On the Zoom Rooms controller, tap Join Audio to call into the meeting from your Zoom Room. Once joined into the meeting, you will have audio controls on the Zoom Room controller. 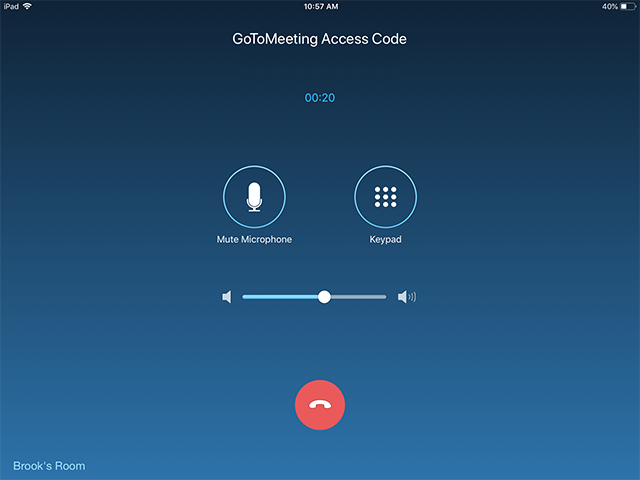 If you do not have a Join button as shown below, confirm that the Support 3rd party conferencing dial-in for Zoom Rooms setting is enabled for the room and the account has Conference Room Connector licenses or an audio conferencing plan with callout enabled.